So if you missed yesterday's news, you will have to stop by and check THIS out! I am still in shock! After a text early in October, from my sweet friend Steph, asking me if I was going to enter, I told her at that point I hadn't turned in any because I was just too busy. I told her that if I was going to turn any in, it would be last minute! And last minute it was! I turned in 6 cards and mailed then ON the "postmarked by..." date! I will have to find those card photos and share then soon! Yesterday was really fun! What an honor to be included in such a great group of talented ladies! So I am here today to share a quick card I made yesterday! This card uses the new PTI Spring Moss ink, Amuse Heather and Papaya. I am going to have to say that Amuse ink is my favorite, hands down! It has such a clean image and I love the colors! They match with PTI cardstock so well! These doily stamps are the Stella Rose doilies and I so love them too! 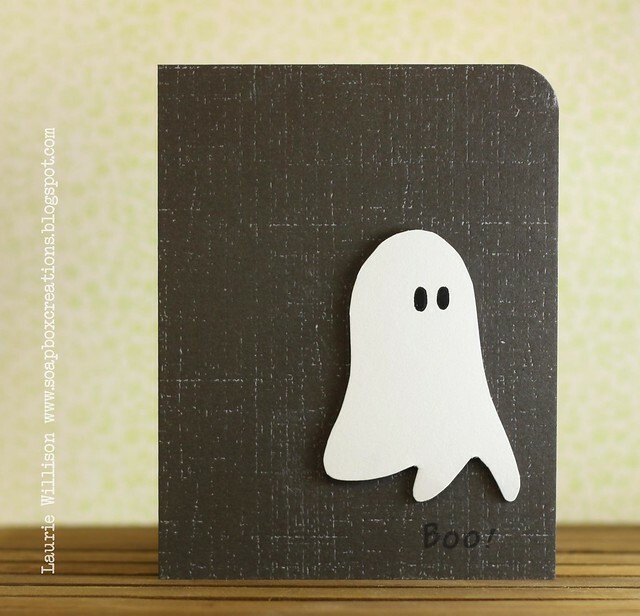 They made a fun patterned cardstock! The sentiment is from Communique Sentiments. This is a must have $5 set! I love this font! Well the boys of our house are gone today so Rylee and I are gonna have a girls day! Not sure what we are going to do yet. Probably end up cleaning for another fall party tonight at our house....hay ride included! It should be a fun time with friends! Happy Friday! I am telling you...these weeks fly by anymore! 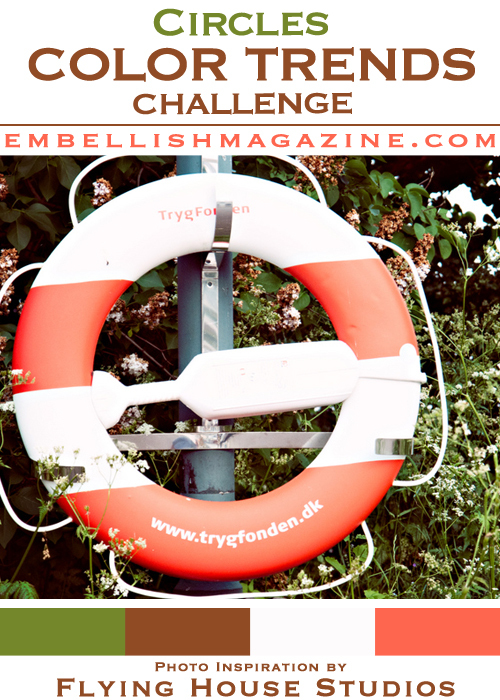 We are here today with a fun challenge! Any of you "2 Sketches 4 You" fans will like this one! Its a Laura sketch! Love, right? I do! 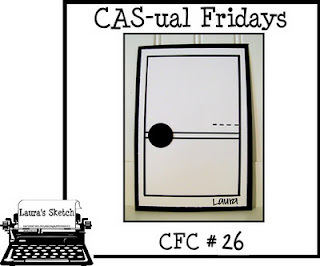 Hop over to the CAS-ual blog to see some more sketch cards! Check out the sponsor too! Lawn Fawn has a great prize for this weeks winner! Hope you are all doing well! I have spent the day at work today and then this evening at a local kids consignment sale! I got LOTS of really nice clothes for the kiddos! I love a good bargain! Now its time to go to bed! It's been a long day! Have a great Friday! Thanks for stopping! ETA: Have you seen THIS? Doing a serious happy dance at my house this morning!!! Still in shock!! If you'd like to see my first post, scroll down! 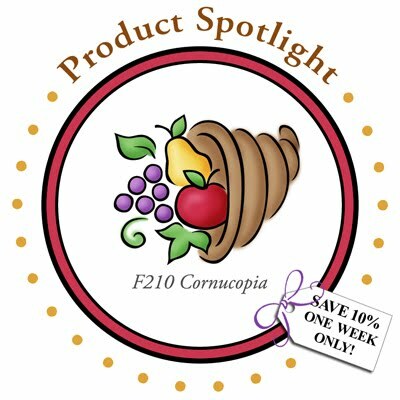 DeNami is showcasing their Cornucopia stamp and its 10% off right now! 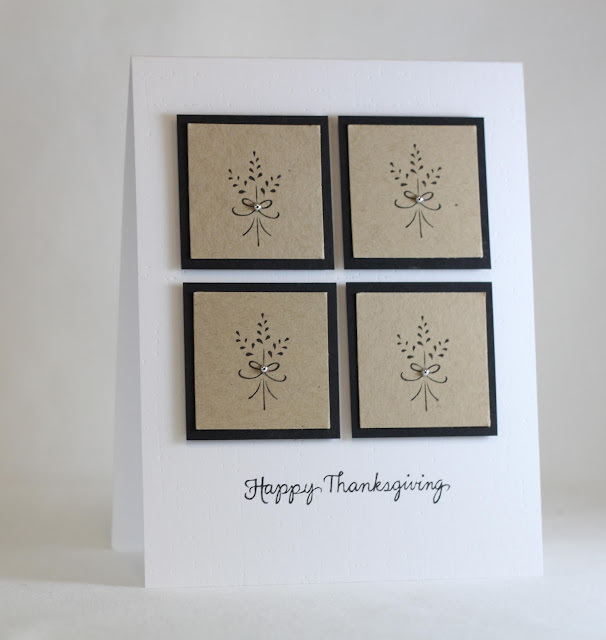 It's a must for those Thanksgiving cards or place setting cards! Welcome to the DeNami Product Spotlight! 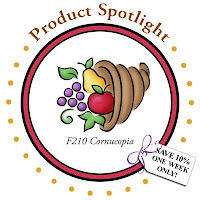 This week we are showcasing this adorable Cornucopia stamp! 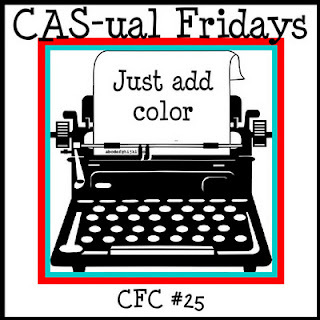 It is perfect for this time of year...cards...place cards...and really fun to color! Please stop over to the DeNami blog for more info on this stamp and see all other Cornucopia creations! I took the patterns, colors and textures from this photo. To be honest, the first thing I saw was the fabric that looks sort of looks like woodgrain. Then all those polka dots and the colors sang to me! 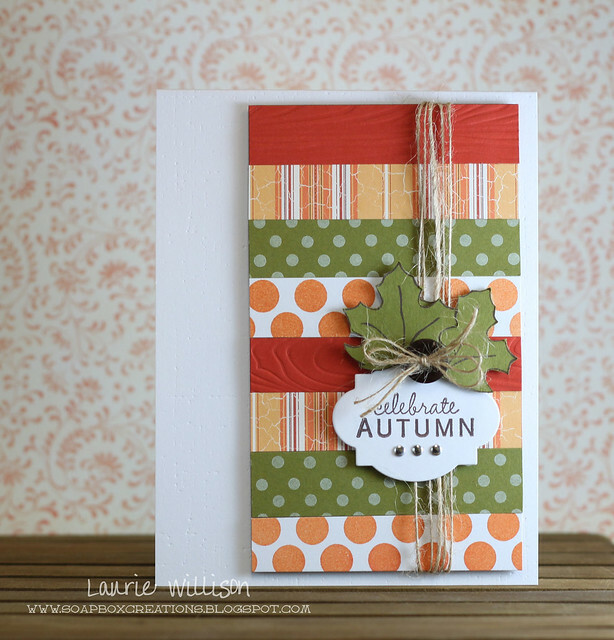 :) I had a leaf stamp from Michaels and then that super cute little autumn sentiment from one of PTI's Fillable Frames. The pattern paper is PTI too, and I made my own polka dot paper using Polka Dots I and II. I can't wait to see everyone's take on this picture! 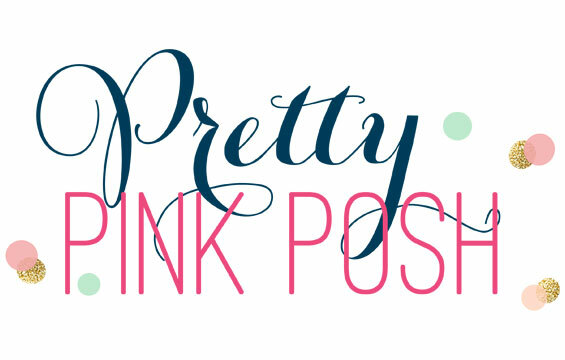 Stop back by Nichole's blog for the complete list of participants! Have a great day and thank you so much for stopping! Voting ends today! Thank you so much in advance! On to a quick card I made this morning! I love these Stella Rose doilies and I thought I needed to pull them out today! It's been awhile since i've used them! I stamped the dolies in True Black and then added some black cardstock and Melon Berry ribbon. 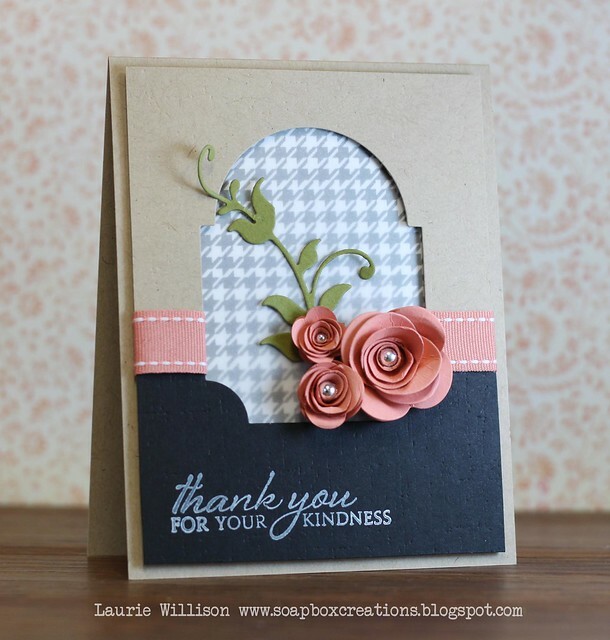 The sentiment is from PTI's Signature Series: Flower and I stamped that with Vintage Cream. Off to play outside! It is a gorgeous day here in Kansas! We have a little Fall party to go to later so I am thinking it's gonna be a fun day! Thanks so much for coming by and again for all your votes! You can vote for up to 3 entries every 24 hours until Sunday the 23rd! You must go check out the Top 10! There are some AMAZING projects over there! I feel pretty lucky to be included in this group! One more fun bit of info today....go check THIS out!! 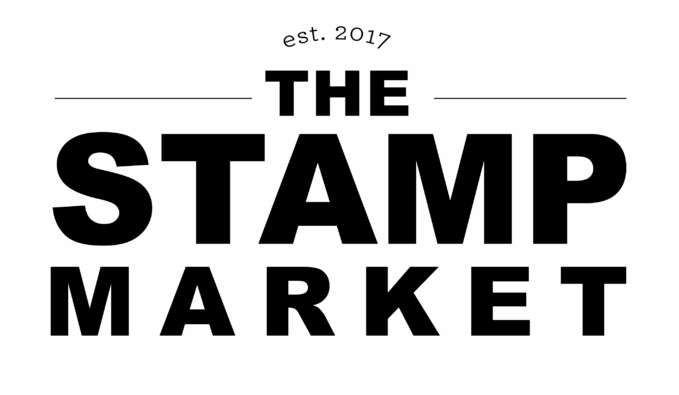 I am so excited to have been chosen in the Top 10 over at Market Street Stamps! In order to make it on, I need your votes! I would be honored if you would stop over and vote for my card! My card is posted HERE on flickr but I will come back soon to show it here on my blog! A HUGE thank you to MSS for picking my card!! I have a super quick and fun card today! 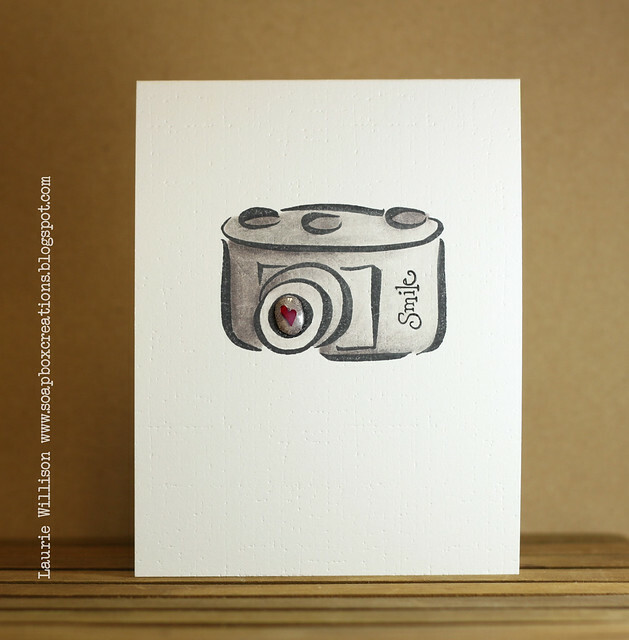 I found this SUPER cute camera stamp from DeNami. I LOVE taking pictures and so I thought this was a stamp I needed in my stash! I colored the camera with 3 shades of warm gray Prismas and OMS. 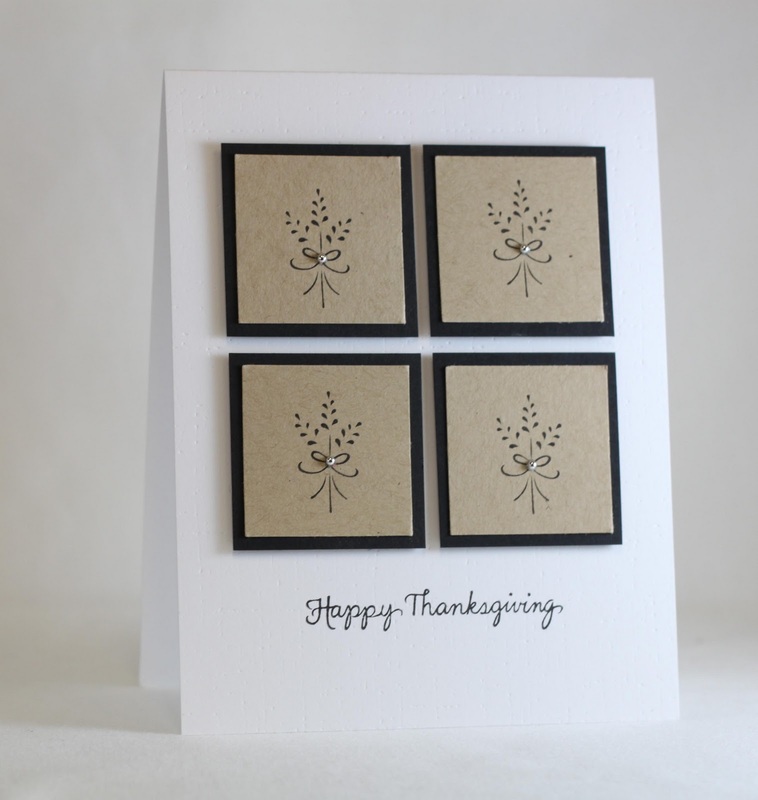 I stamped the sentiment and then ran the card through with the Linen impression plate. For the lens, I added some glossy accents and then slipped a little hand cut heart into the center. 2 stamps and a piece of cardstock! Love the simple! This is it for today! Have to go see what my little one is into upstairs! Have a great day! 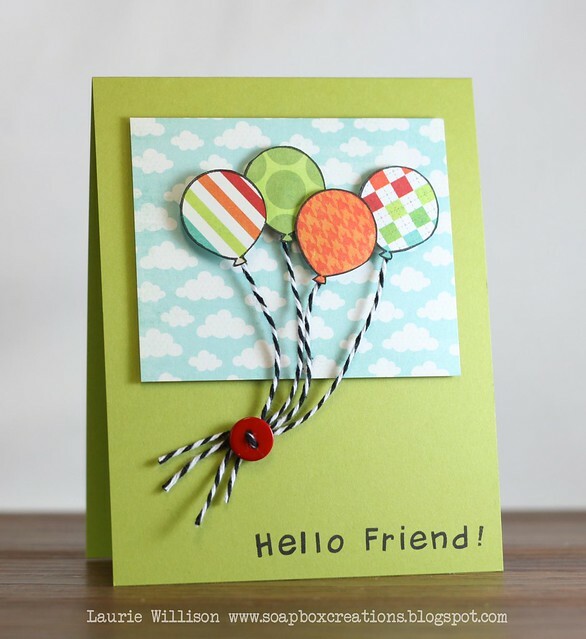 I used the balloons from the Admit One set. And the sentiment I spelled out using Harold ABC's. 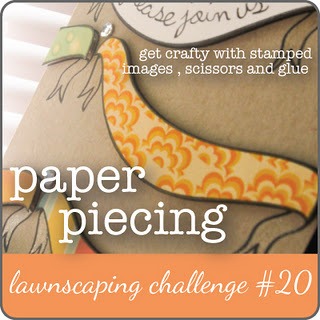 Go check out the Lawnscaping blog to see the DT creations and check out the prize this week! Lawn Fawn is the sponsor so you know it's gonna be a fun prize! Thanks for coming by today! Have a great Monday! 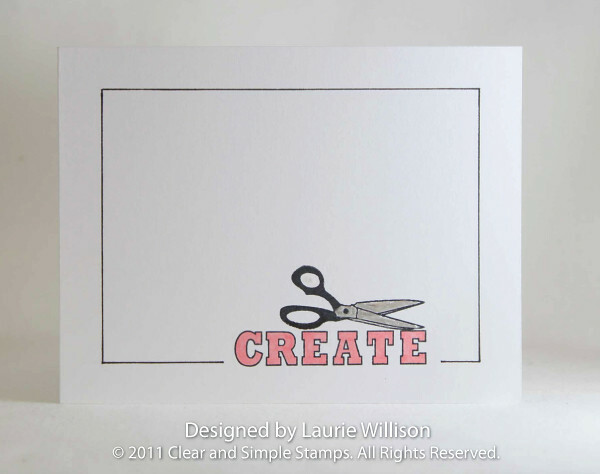 Stopping in with a quick and simple card I made using Clear and Simple's new stamp of the month, Craft Room and Crafty Sentiments! 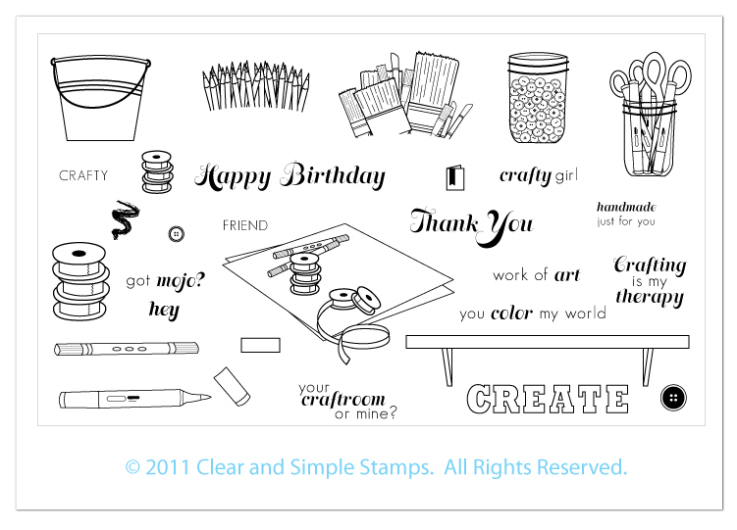 I love these sets and I know if you are a paper crafter, you will too! After I had this card done, I realized that I should have put this in a frame! 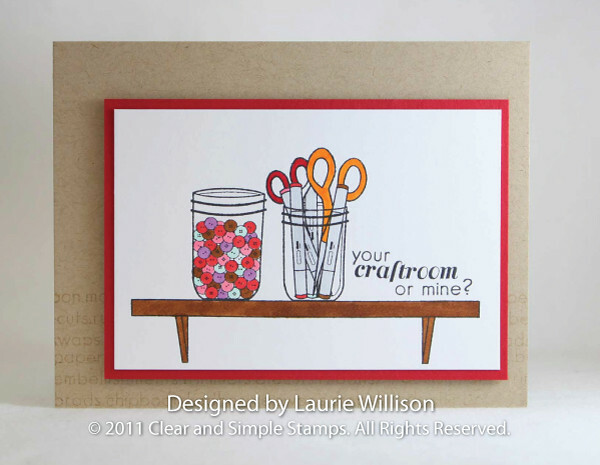 This would be a super cute little piece of wall art in my craft room! I made the frame with a pen and ruler. The letters I colored in with a pink Copic and those scissors are colored in with silver liquid pearls. 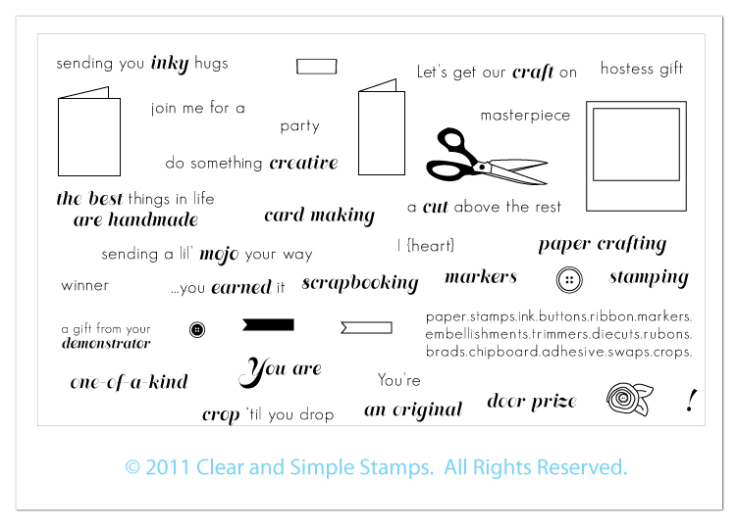 Don't forget to check out Clear and Simple's list of retiring stamps. Click HERE to see the full list! Thanks for stopping by today! Can't wait to see your creations! Go check out the CAS-ual blog to see some more NON-orange Halloween cards and to check out the prize for the week! Our sponsor is Clear Dollar Stamps! 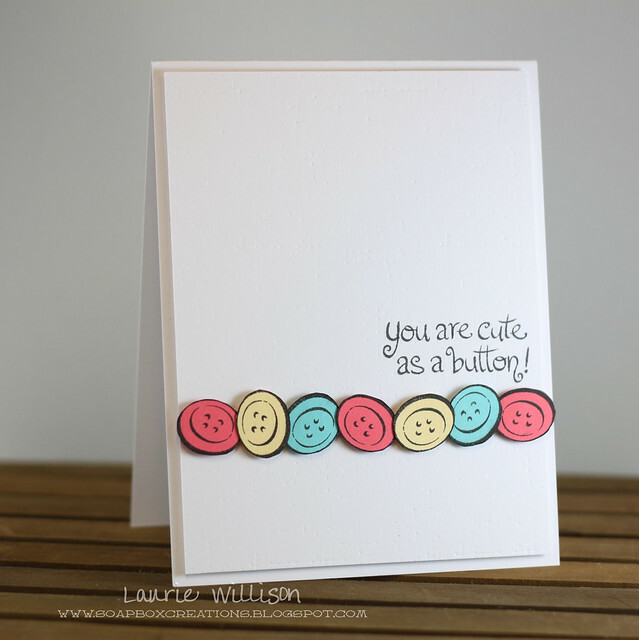 I had to squeeze this card in today for the Embellish challenge! I have to be honest and say that I first thought I was not going to be able to work these colors our like the fabulous DT did! I grabbed a scrap of each color cardstock....I used PTI's Dark Chocolate, Ripe Avocado, Melon Berry and White...and I fell in love! What an awesome combo! I guess I just had to see it on paper! LOL! I used a 1" Marvy circle punch for the circles. I lined them up in no particular order and then attached the Melon Berry cirlces with ATG and the Ripe Avocado circles are popped up with foam tape. The sentiment is from Communique Sentiments. I stamped that in with Versamagic's Jumbo Java and then added some pearls! 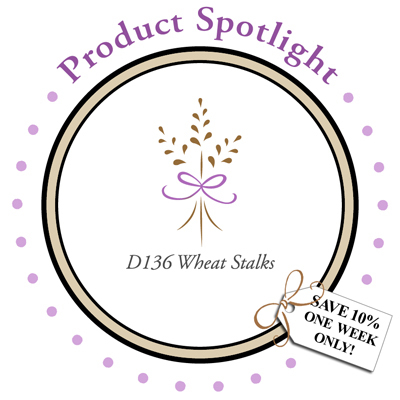 It's DeNami Product Spotlight time! Here is a super cute little stamp, just in time for Fall! You can find this little stamp HERE! It's 10% off right now! You can see the rest of the DT creations by checking out the DeNami blog! Thanks for coming by today! 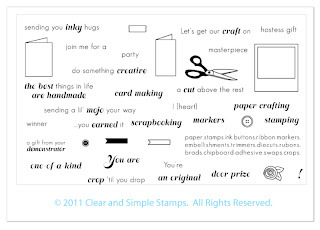 I used the new stamps for October...Craft room and Crafty sentiments! These are must haves, I tell ya! 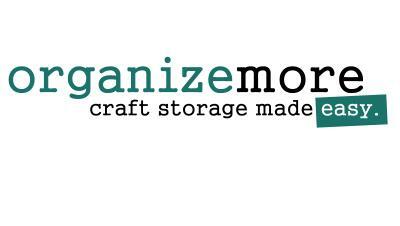 Especially for all my crafty friends! 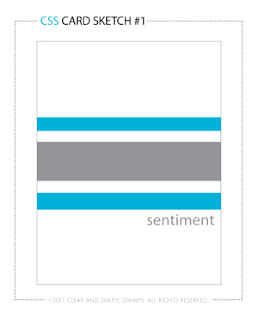 Lots of great sentiments for us, as card makers and paper crafters! For this card I had to use the stuff that would go along with this sentiment! 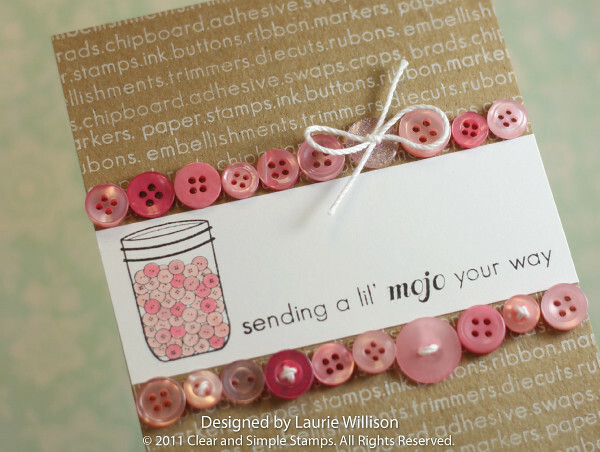 Using the buttons as borders gives it that super crafty feel! 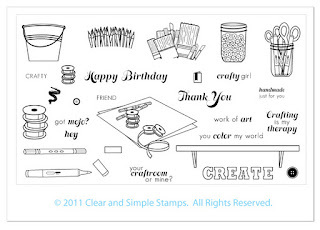 I love that background stamp...you've already seen me use it HERE! I think it looks really fun in white on the kraft background! You must stop over and see what the girls have created! Here are the links to their blogs! At the end you can check out the Clear and Simple blog for more inspiration! Don't forget to go and sign up for the Clear and Simple Newsletter! Click HERE to sign up! Lots of great inspiration right to your inbox! I used Verve's Bloom and Grow for my homemade background paper. 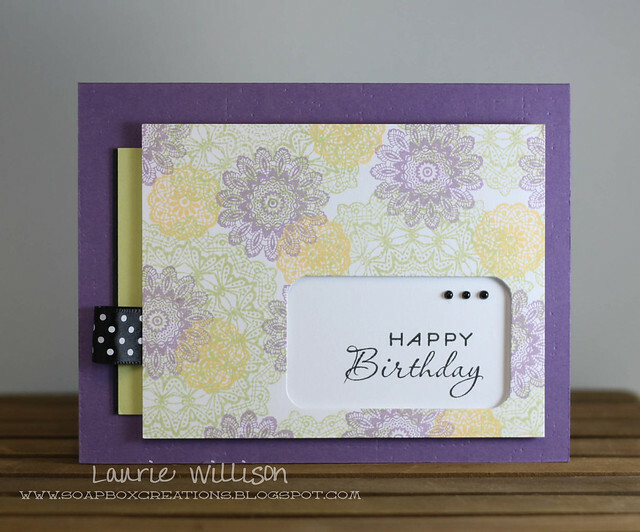 I stamped several of the blooms with different colors of my most favorite ink right now...Amuse! Then I took PTI's Text Style and stamped over the top in True Black. The sentiment comes from Verve's Kind Words. I added a bow and some flowers to go along with the sketch details and that's it! Anything fun going on today? It's a rainy day here in Kansas and oh so well needed! I am thinking its gonna be a lazy day for sure! Again...well needed! Hope you have a great Sunday too! So glad you stopped by! I had to get back on here one more time today to post a new creation! Really for 2 reasons...one my neck feels SO much better and I can finally sit down for awhile and 2....because I got some new stuff in the mail and I had to play!! Today I got the MFT rolled roses and this leafy flourish! So I took a piece of white cardstock and stamped the houndstooth in black. Then I layered that with a piece of vellum just to tone it down a bit! I put that behind the "window" I made with the Mat Stack die. I added the bottom layer of black and ran it through with the linen impression plate. I put some ribbon around the seams to make it look a little more finished. Next, I stamped the sentiment in Fresh Snow....it looks crooked in my picture but its really not! I popped that layer up on foam tape and then attached the leaves and the roses with glue dots! It was so good to sit down and create something and not have that huge pain in my neck! Now I am off to have an evening with the girls! We are making jewelry....and having some wine probably! hehe!